WHEN THE US lost to Trinidad and Tobago in October 2017 a classic debate about football in America came to the fore. Would the failure to reach the World Cup effectively kill interest in the game? 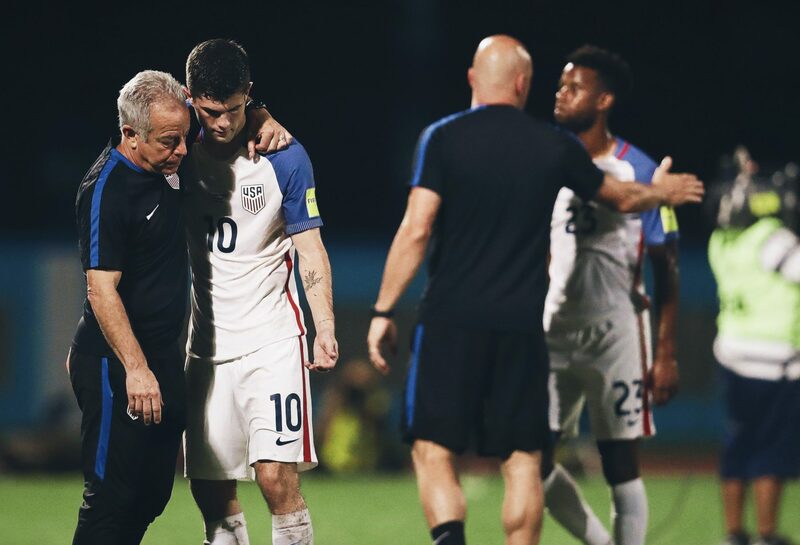 It is a question and a fear that has long nagged at US Soccer and one that unfortunately continues to influence our perception of the sport in this country. For almost as long as I can remember, the US has been about to be really good at soccer. One Italian I spoke with a few years ago described the game here as “a bottle of Prosecco, ready to explode.” It seems instead, though, that the ageing bottle may be in danger of losing its carbonation. As a 10-year-old growing up in Boston, I remember well the build-up to the first Major League Soccer season in 1996. What I remember most was a general scepticism, the talk of how people needed convincing that football was a “contact sport” and how fans here were used to action, shots, saves, overtime and no ties. 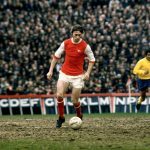 Football seemed to be viewed as an outside force and our response, rather than accepting and allowing it to grow naturally, was instead to impose our own narrative upon and control the game from the top down. In many ways this is still the case today. When Jürgen Klinsmann was hired in 2011 as the US national team coach, the hope was that he’d “revolutionise” US Soccer as a whole. It was an almost impossible task and one that should never fall to one person alone, let alone someone at the top of the pyramid. The idea, I guess, was that the success of the national team would correlate to greater interest in the game and thus an improvement across the board. This same argument is used, in reverse, when describing the “disaster” of the US failing to qualify for Russia 2018, namely that whatever momentum football had here will wane. But to me, this attitude speaks to the lack of faith of those promoting the game in this country – whether MLS or US Soccer – and to the fear that football interest is just so precarious that it could evaporate in an instant. To me, this completely ignores the people and communities here who have always loved the game and have never been too worried about what those who tune in once every four years thought of it. More than anything, it speaks to a general lack of conviction that existed long before MLS, and that is clear from the way the game has long been taught and played in this country. Almost the first thing I remember being told as a young player was to run hard and put my hand up when I needed a substitution. Probably good advice for a seven-year-old, but that mantra followed me all the way through college where I played at both the Division I and Division III level. Still today, this attitude prevails even in much of the Division I college game, where the unlimited substitution rules allow teams to cycle players in and out and play an unrealistically high pressing game that relies almost entirely on a physical style rather than technique or tactics. Many teams still count almost exclusively on long throw-ins and set-pieces to score goals. Indeed, this approach allows for traditionally coveted American athletic attributes – speed, strength, jumping, throwing – to come to the forefront. It should come as no surprise, then, that the Americans who have had the most success overseas are goalkeepers. 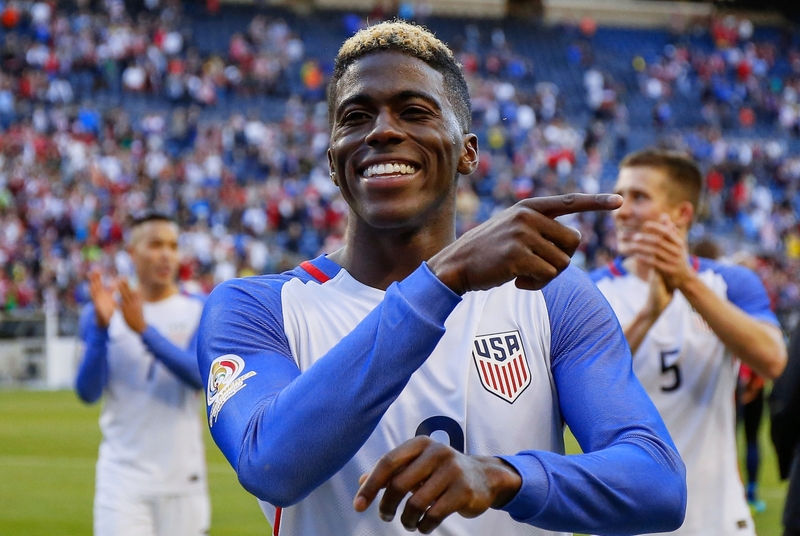 I hear many people say that US Soccer lacks an identity, a defining characteristic, but if anything, we have too strong an identity, and one that for whatever reason we’re not willing to shed. Rather than adapting ourselves to the game, we have instead modified it to our own notions of what a sport should be. It reminds me of playing on the many fields throughout my career that were primarily meant for other sports and covered with gridiron yard-lines, lacrosse creases, field hockey arcs and a few baseball diamonds. By layering aspects of different sports on top of one another, we have created our own version of the game out of the anxiety that the game itself would not convince. This hybrid form of football has become our identity and, with MLS made up of a majority of American-born players, it’s no surprise that the league retains this DNA. Of course, the academy system here is aiming to change that, but 10 years in, the product on the field still feels closer to the frenetic college game than anything else. This also makes it a hard league to watch, especially when basically all of Europe’s top leagues are available through a basic cable package. It also means that the success of college football and MLS will not necessarily correlate to an improved national team. It is no surprise that the US often appear out of their depth and naive in the face of international competition. If we want these players to succeed internationally, we will have to start playing the same game the rest of the world is playing. Pirlo’s point resonated especially with me having watched first-hand during my career as technically superior players on both of my college teams were often overlooked in favour of more physical players. A common thread of thinking runs that the reason the US is not a football powerhouse is because our best athletes play other sports. This is a ridiculous argument to anyone who has played college or even high school football. If anything, athleticism is what is hurting the sport here, not what is holding it back. Those with technical and tactical acumen are forced to either adapt or simply not play and see their development abruptly halted. “I actually got worse playing college football,” is an unfortunately common refrain. Pirlo is completely right: what is lacking is neither talent nor interest but a cultural shift in how we teach the game and what attributes we choose to accent and promote. In many ways, the culture has already shifted as fans of football here have learnt from and adopted many traditions of the European game. But the game itself in the US has yet to make this jump, and even if MLS does eventually aim to follow the European model, it will take a fundamental change at the high school and college level, and really before that, to bring about any kind of transformation. Again, people speak of the need to revolutionise football here, but if anything that has been our approach from the start and it hasn’t gotten us very far. 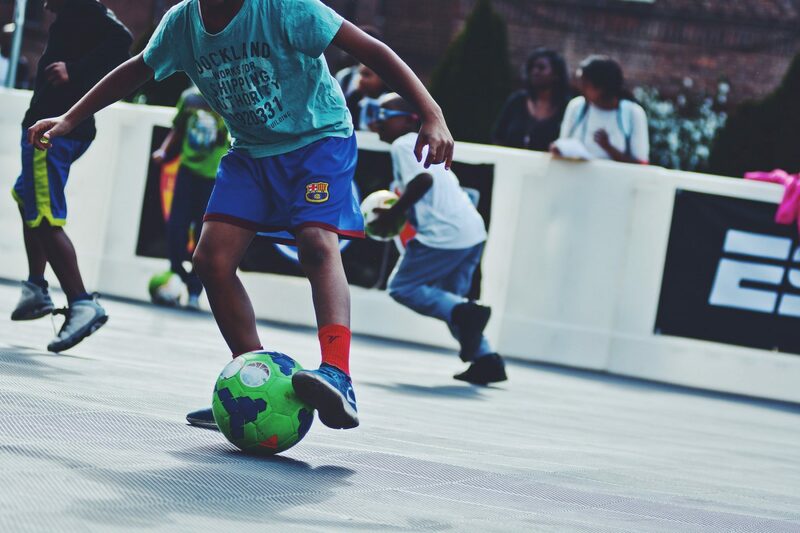 Rather, we should recognise that football, in whatever form, will never be the most popular US sport, but also that there does exist here a strong, organic culture that will not simply disappear overnight even as it goes largely ignored. All of this leads me to a general apathy when it comes to US Soccer. I didn’t watch the match against Trinidad and Tobago. I couldn’t have even if I’d wanted to. The Qatari-owned channel that it was shown on was not a part of my cable package. What was a part of my cable package was the Spanish-language channel Univision, which meant I could watch – side-by-side – both the Honduras–Mexico and Panama–Costa Rica matches, which combined to eliminate the United States. And as the US comeback effort fell short, in Panama City, in the dying minutes of the game a true spectacle was taking place – with the home-side ahead – an elderly woman invaded the pitch and then pretended to faint three times in an attempt to waste time. A national holiday was declared in Panama the next day to celebrate the feat of qualifying after they hung on to beat Mexico 2–1. Can anyone here honestly claim that it would have meant more to us to go to the World Cup? That we as a country care or deserve it more than they do? Alongside such avid passion, to me, and I believe to many, the game here can still feel like an exhibition, with its constant fighting and morphing to secure and justify its place in the sports landscape laying bare its insecurities. Watching football here too often feels like watching an American remake of a British TV show, stripped of all subtlety and nuance. Maybe it’s time to acknowledge that some people actually prefer the real thing.